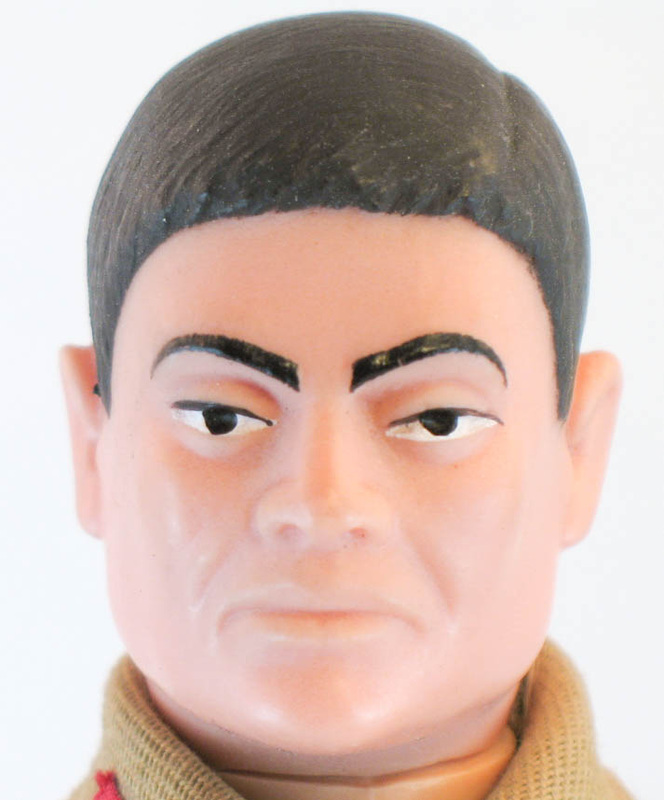 Though toy soldiers had been around for centuries, GI Joe was an innovation. 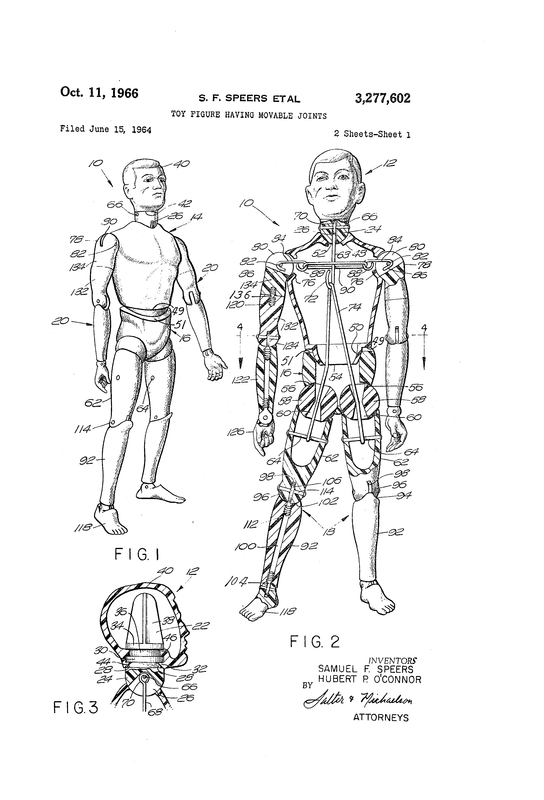 From the design of the initial prototype it was clear that this first action figure would be poseable like no other. Hasbro set a standard that was unmatched in its day. 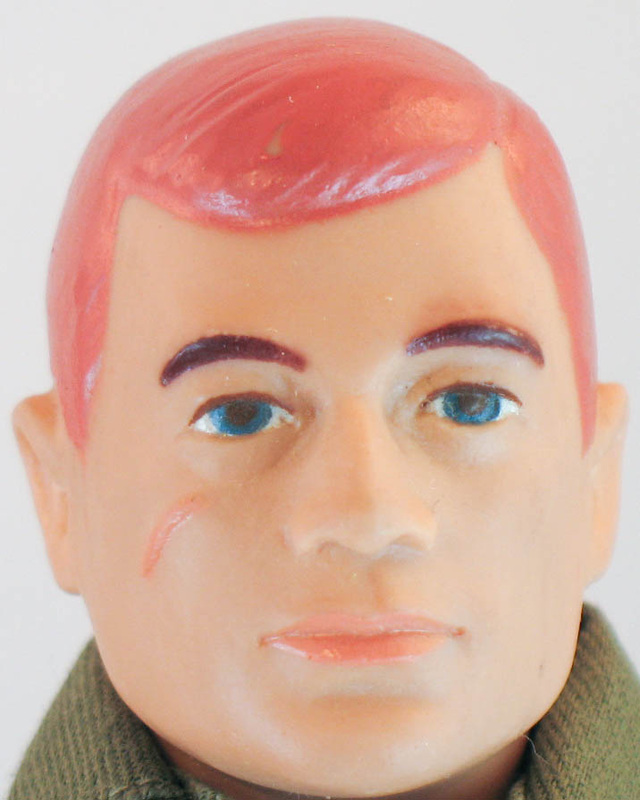 Advertised as the figure with "twenty-one moveable parts," GI Joe gave kids many options for action play. Early issue features don't always mean an early figure though. 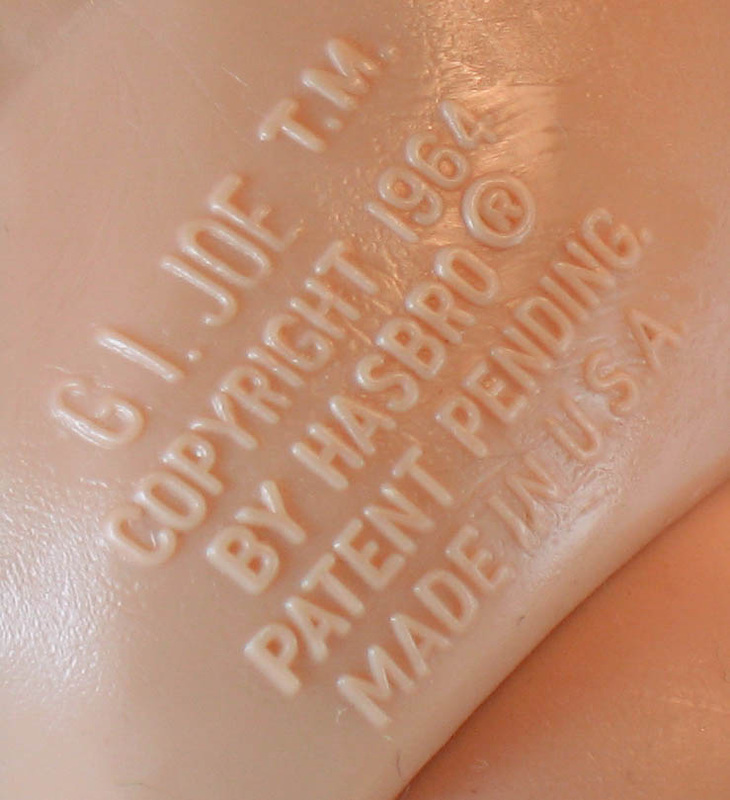 The first molds were reused by Hasbro Canada alongside standard molds right through the Adventure Team era, so some parts that look early may not be. Sometimes one can tell the difference by the consistency and color of the plastic, but this takes some experience. 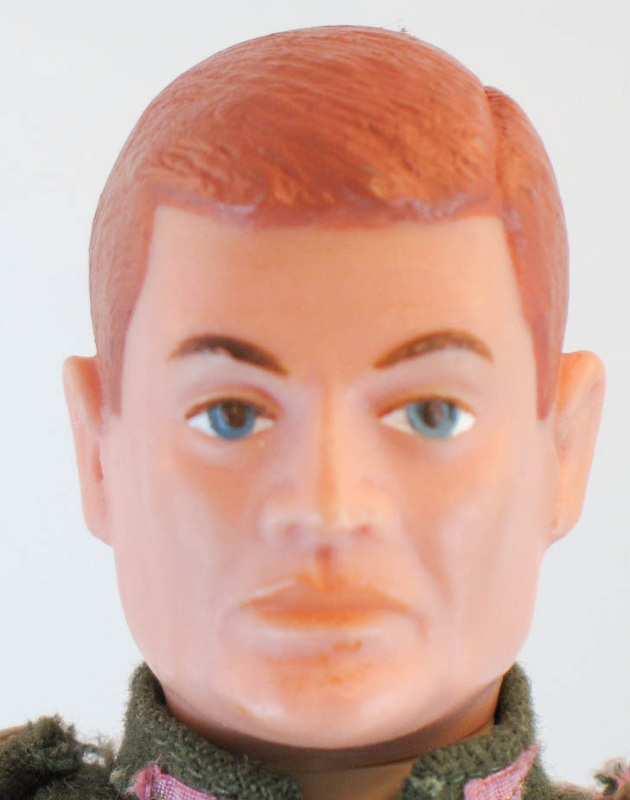 It's also common for figures made in late 1964 and early 1965 to have some mix of earlier and later style parts as both the first molds and later versions were in use simultaneously to maximize production. 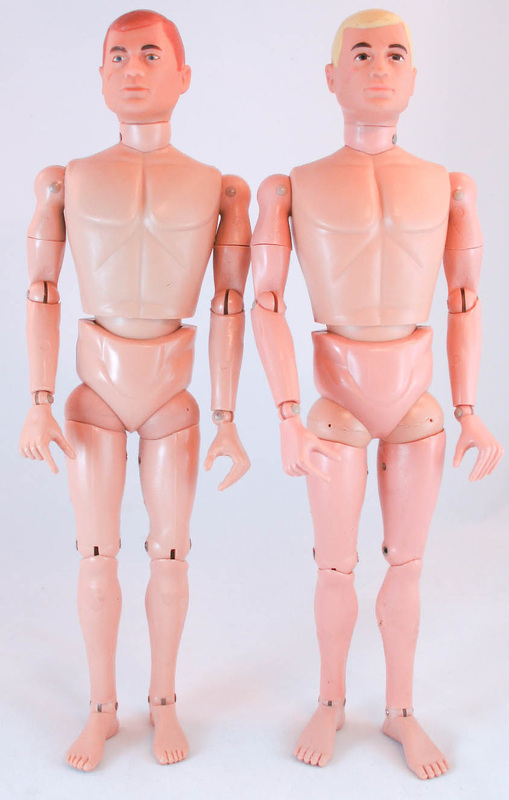 Above, a 1964-65 figure (left) side by side with a 1967-68 figure. 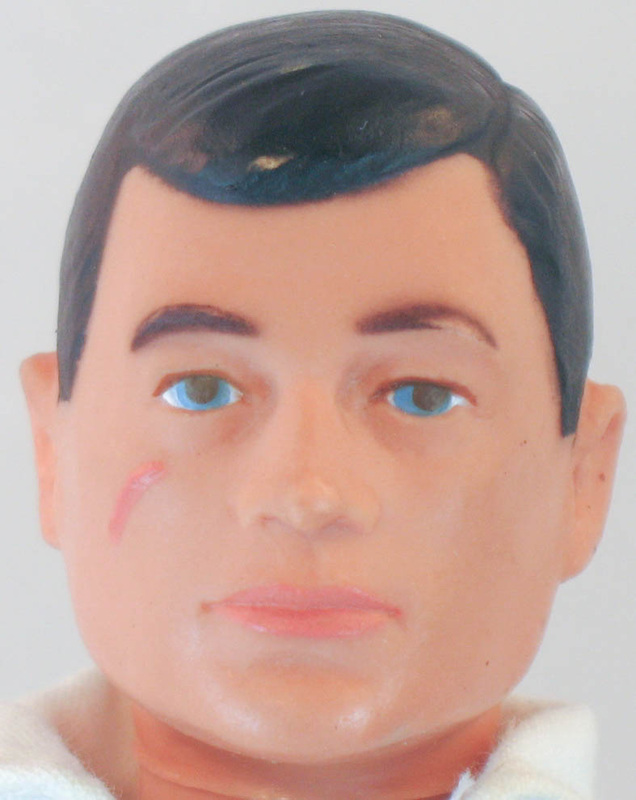 Note the eyeliner, baby feet, and 'beefy' left hand on the earlier figure and the slightly pinker plastic, slimmer hands, and defined toes on the later Joe. 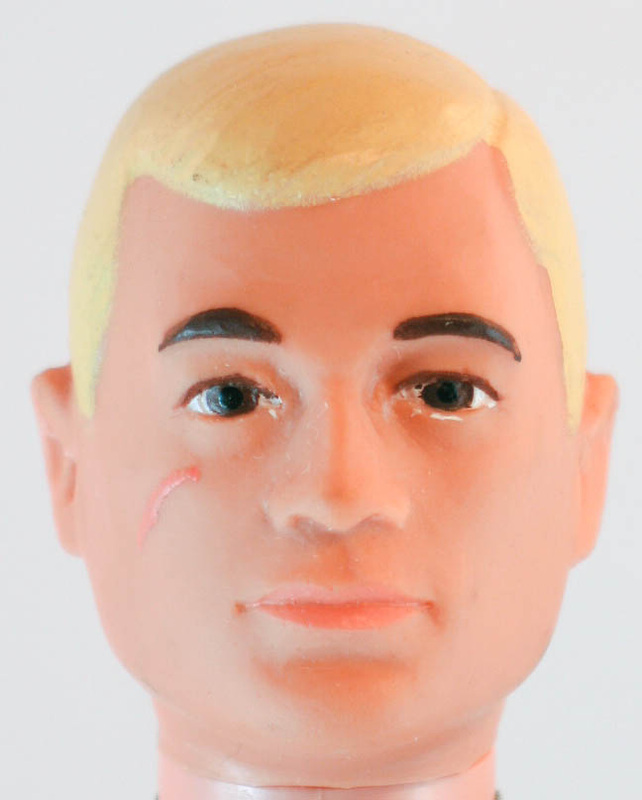 It's common for someone to tell you "My GI Joe was made in 1964" because they see that date marked on the figure's buttocks. That's not always true. 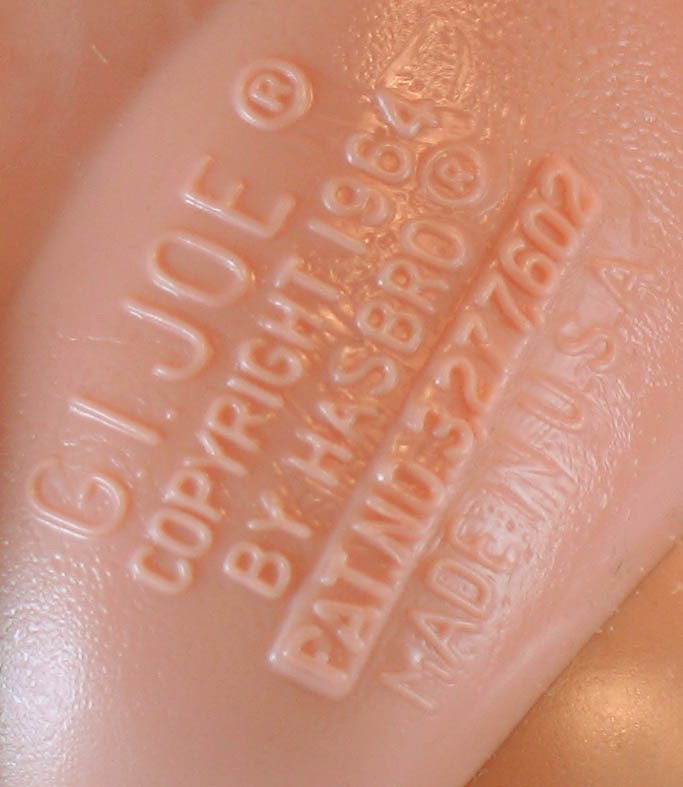 The photos above show the marks on the figures and the corresponding dates for US made Joes. Two early issue heads, the one on the left retains it's softness and original size. The one on the right started out the same size, but has shrunk and hardened. Note the point on the top of the head of the one on the right. 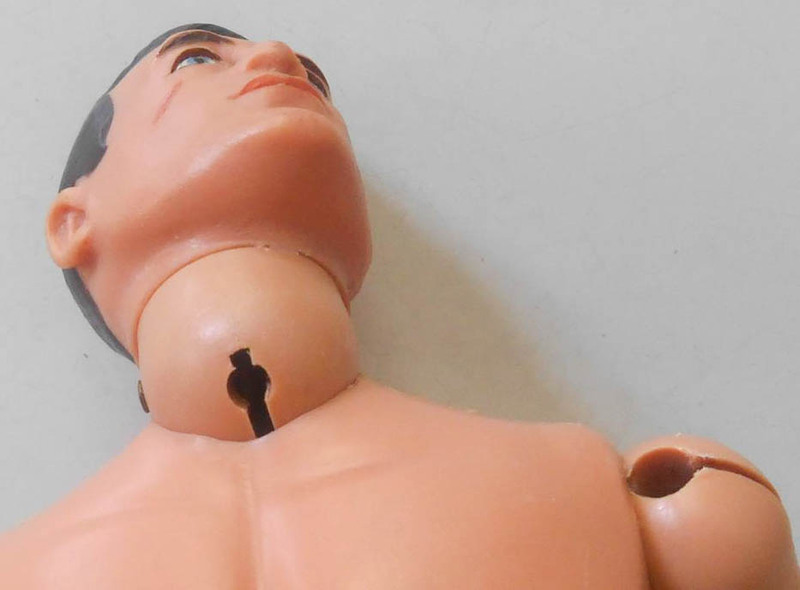 That is the tip of the neck post, making figure what is called a 'pinhead.' When the shrinkage is extreme the results can be comical. Sorry, Joe! This just shows how soft the early heads were. 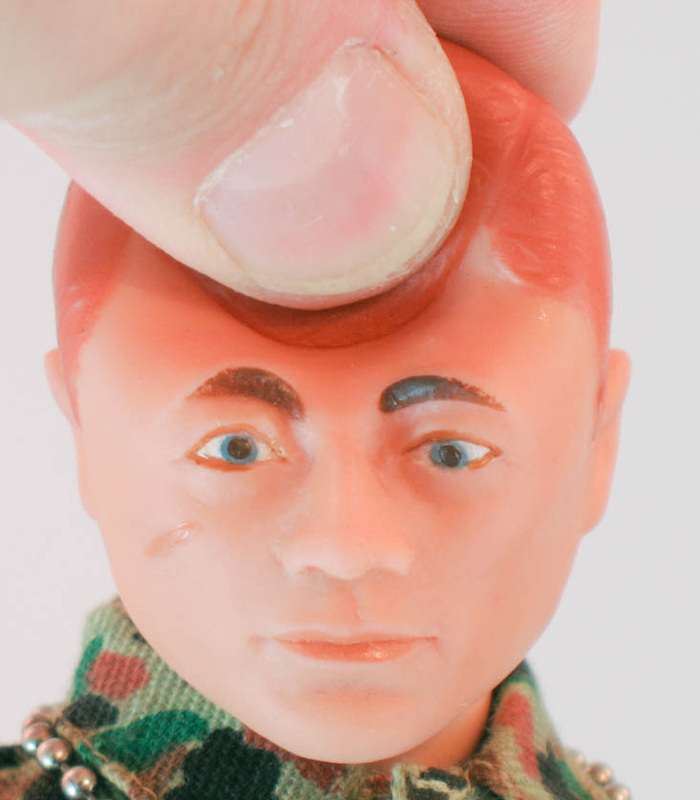 They are sometimes called 'gummy heads' for their softness. 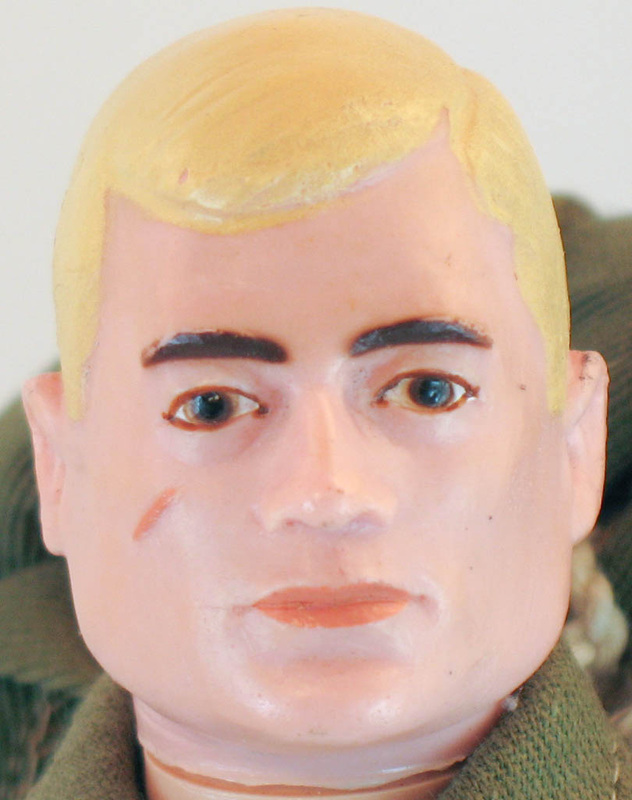 Early GI Joe heads in the four hair & eye color combinations. 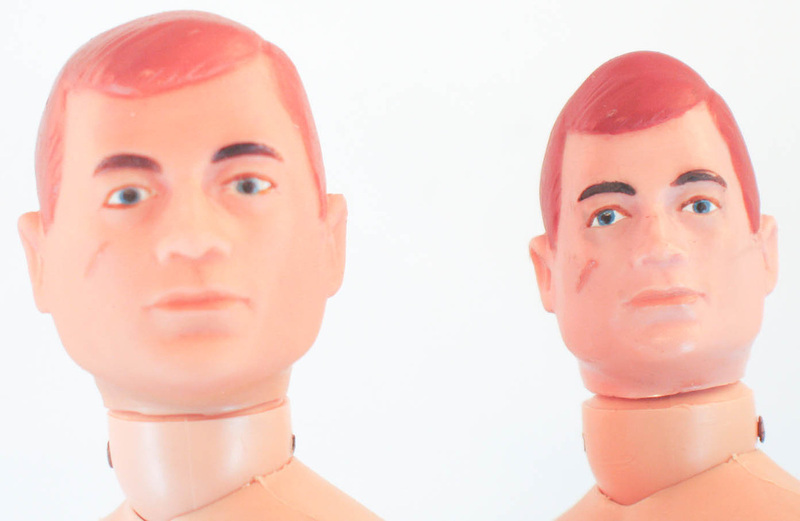 These heads from the 1964 or early 1965 period all exhibit 'eyeliner,' a paint detail that was later omitted, probably to speed production. 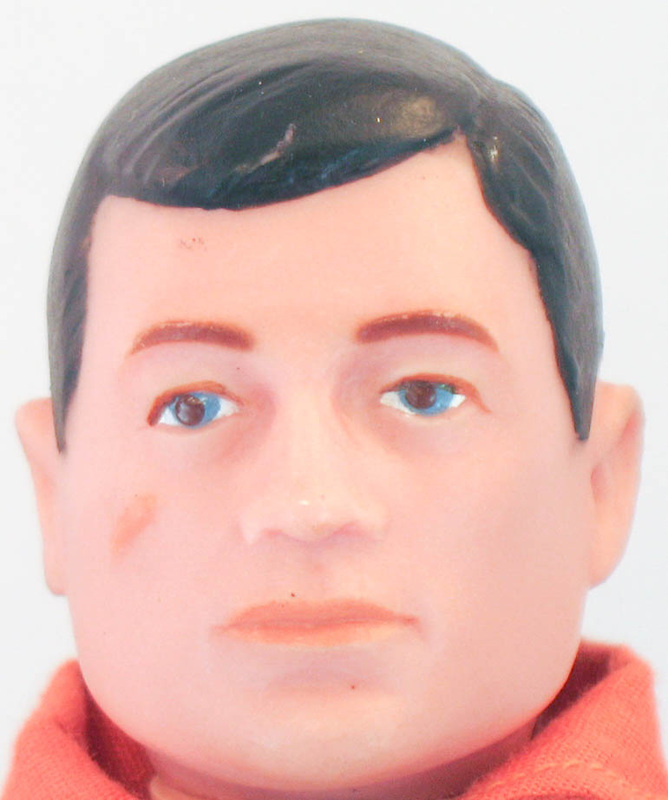 Note also that the early heads have heavier brows painted just below the brow ridge in the sculpt. These have all hardened from their soft state without undue pinning. A selection of standard 'hard heads' from the middle of the run. 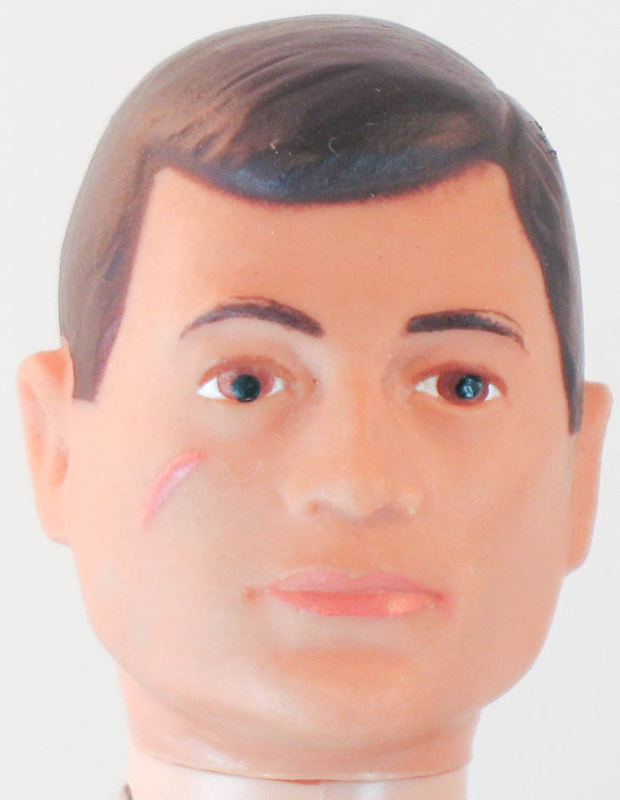 Note that the brows are painted above the ridge of the eye socket and are thinner, and a single stenciled line marks the edge of the eyelid, reducing the 'raccoon eye' effect. 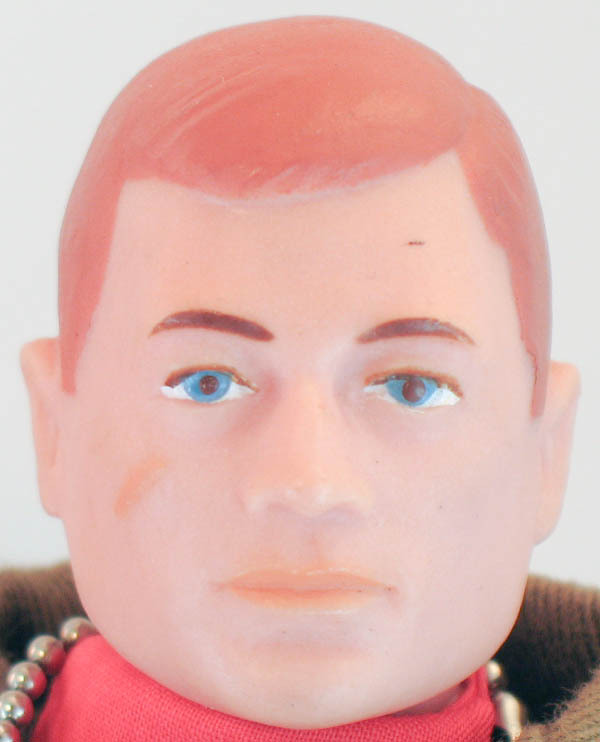 Generally this look predominates in the 1965-66 period. 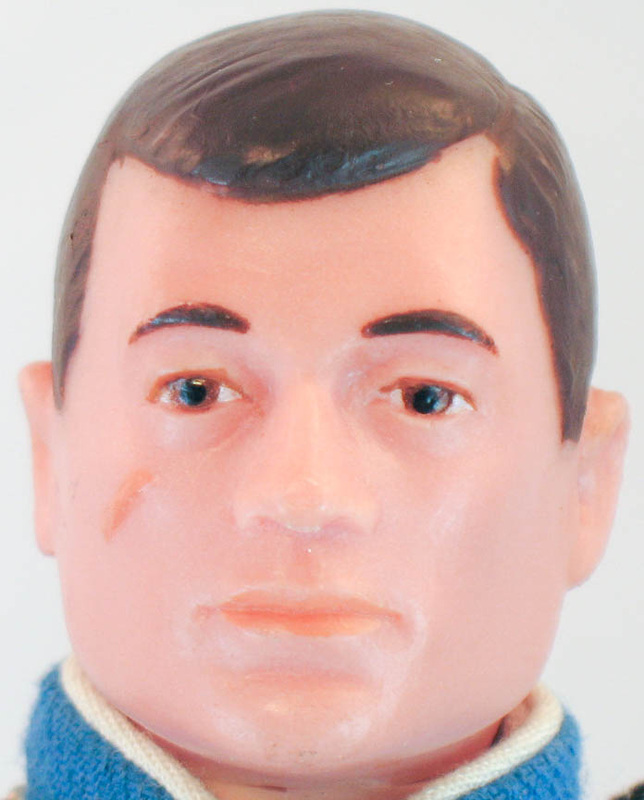 The four hair & eye color combinations in 1967-69 soft heads. These are unlike the early soft heads in that they tend not to shrink and harden and are more opaque in color. 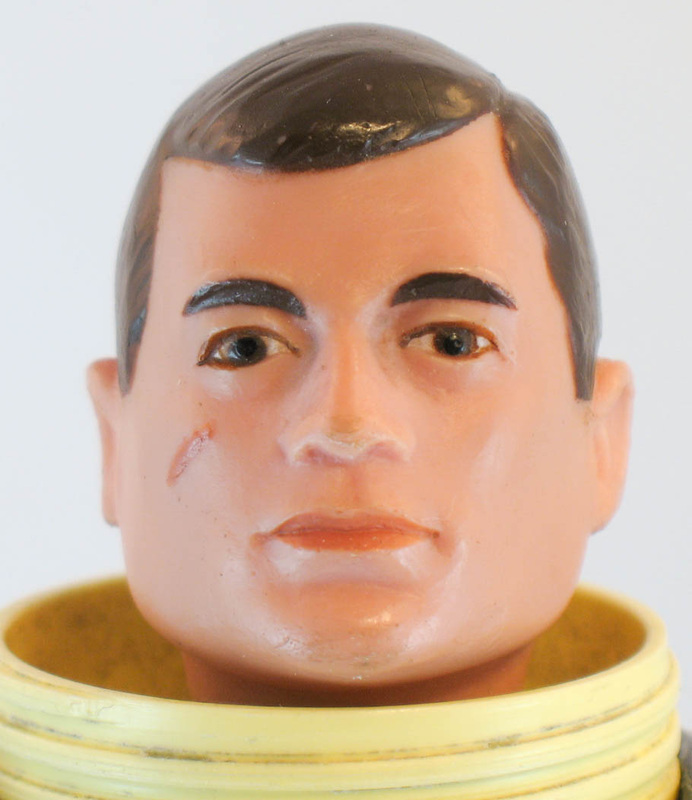 This was the same plastic mix that was used right through the Adventure Team era. 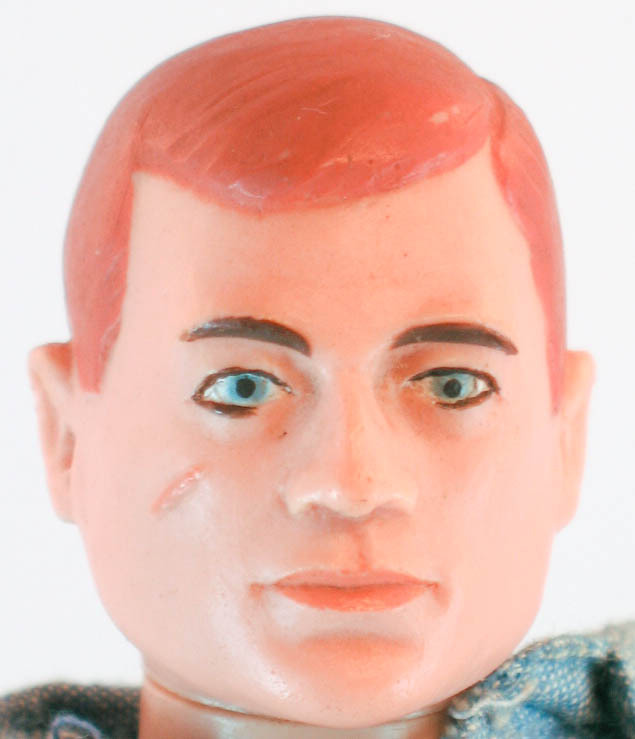 The 'foreign' head sculpt that debuted with the Action Soldiers of the World line in 1966. This design has been described as being 'nordic looking.' 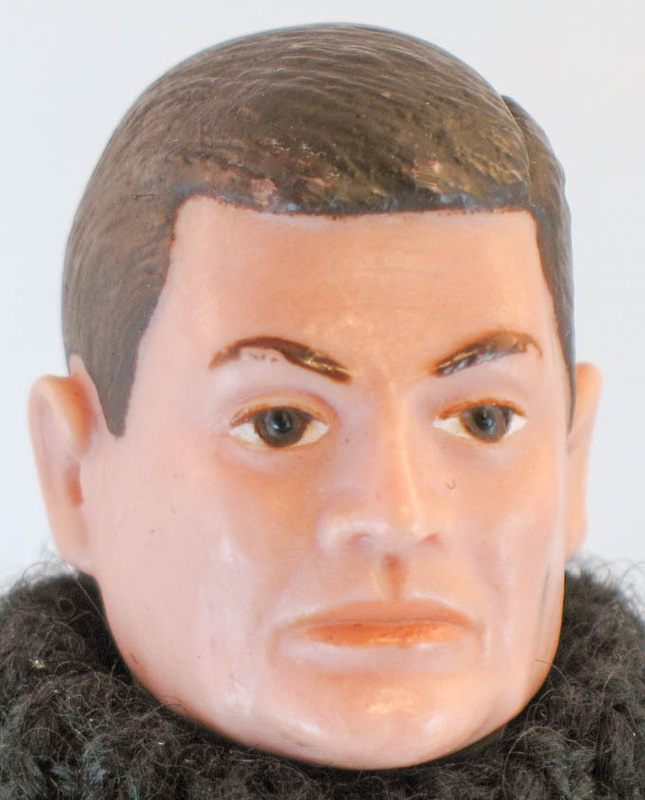 The same set of four hair & eye color combinations were available. 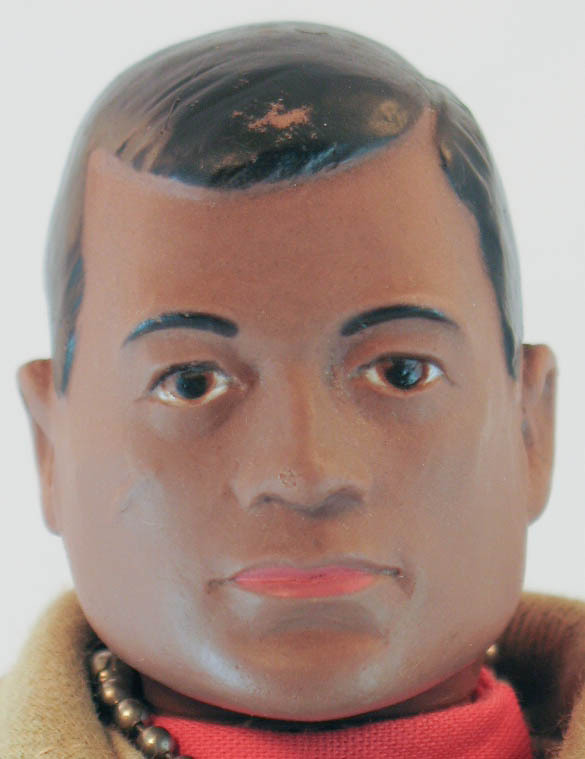 The Black Action Soldier on the left has a less reddish tone than the 1969 Black Adventurer next to him. 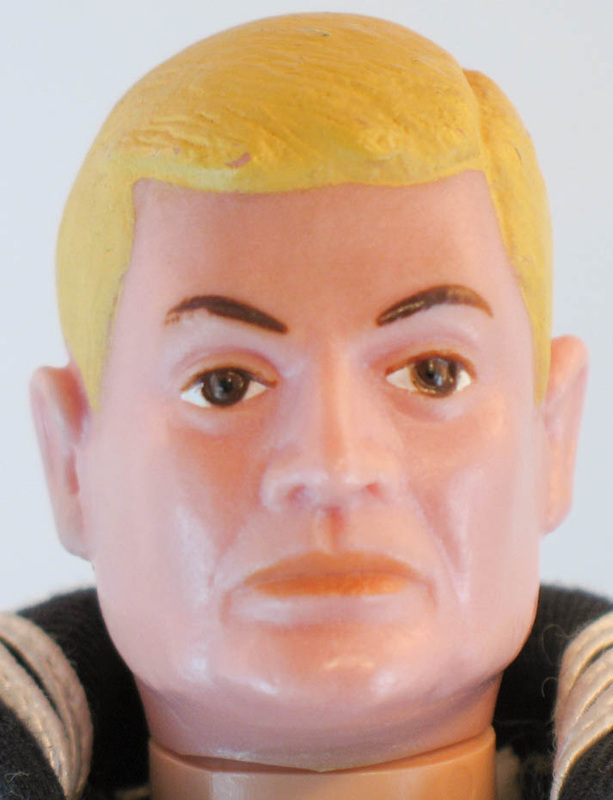 The '69 figures also came in the more brown shade. 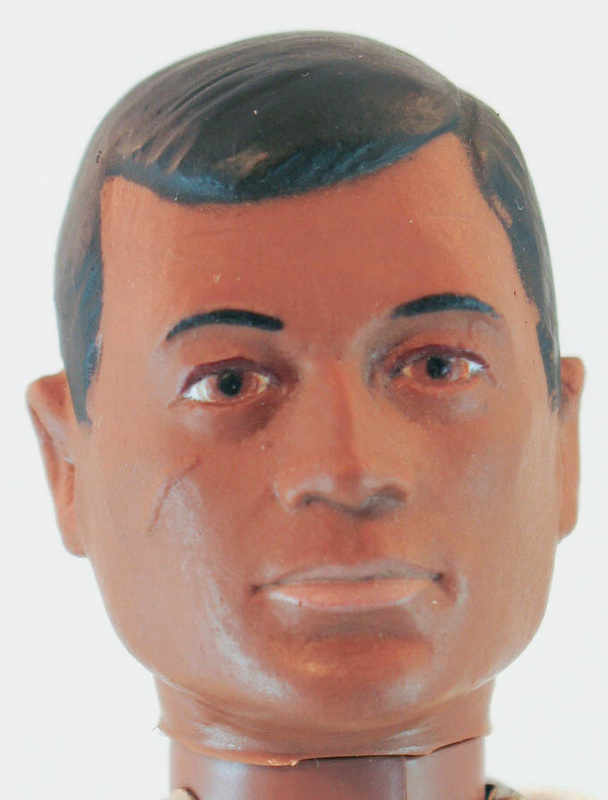 The rivets of the African-American figures can be painted either brown or caucasian colored. 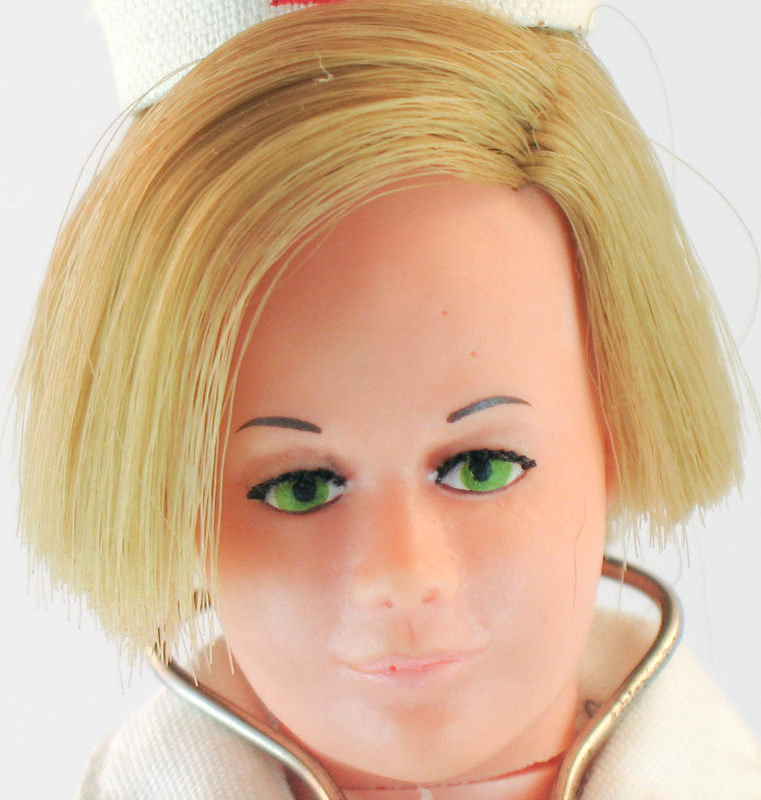 Third from the left is the Japanese SOTW head, and on the right, the GI Nurse. 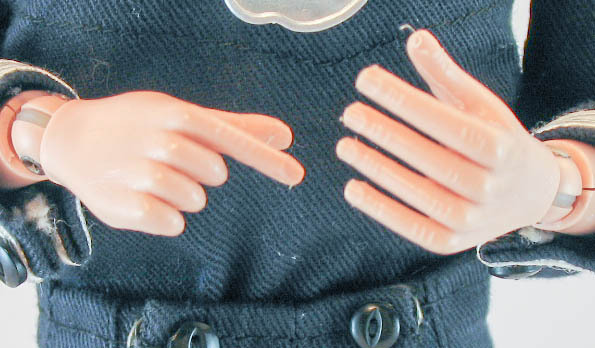 Early style feet (left) are called 'baby feet' by collectors and exhibit less detail than the standard ones introduced a bit later. The early feet fit into dress shoes and early rubber boots better than the later ones. 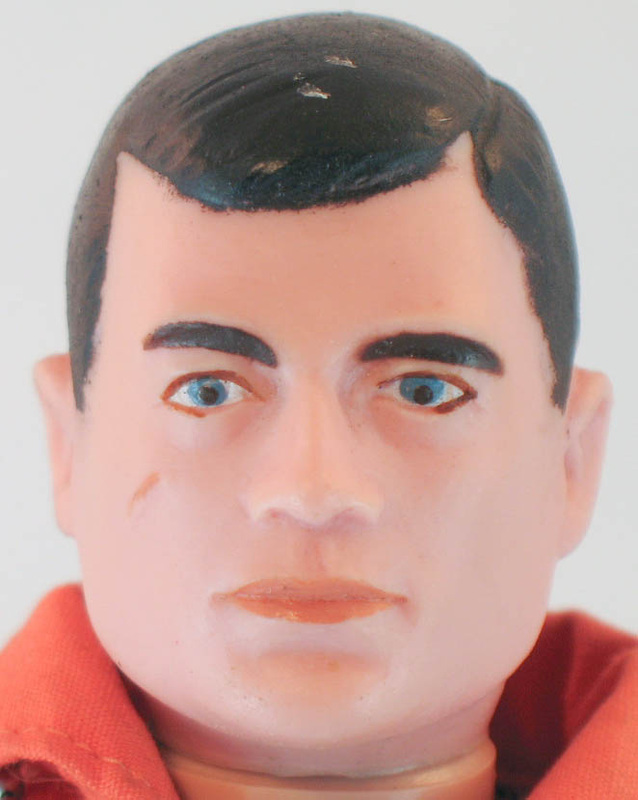 Most figures have straight cutouts at the neck and shoulders as above, so the hooks and elastic that join the arms and head to the torso can be attached. 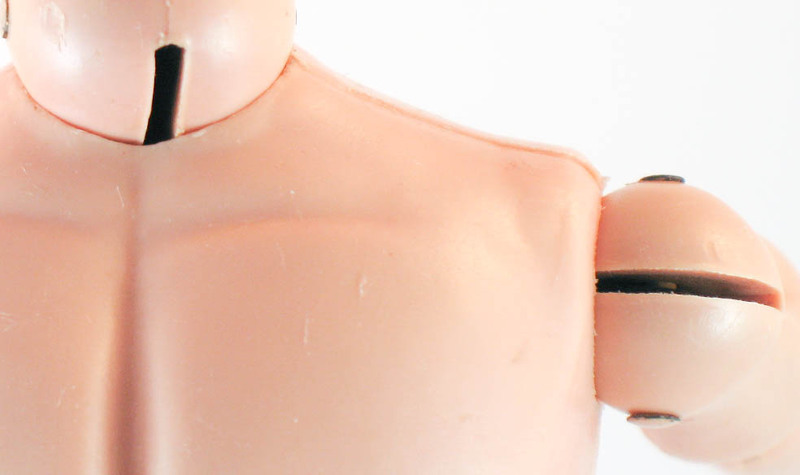 Some early figure have so-called 'slotted' necks and shoulders that made attaching the parts easier. The one immediately below is an unusual double slotted neck with a small hole at each end on the neck post from the collection of John Rierson. Below that are examples of the standard slotted neck and shoulder. These slots are an early issue feature. The top forearm has a distinctive flat spot just below the elbow that is another early issue feature. 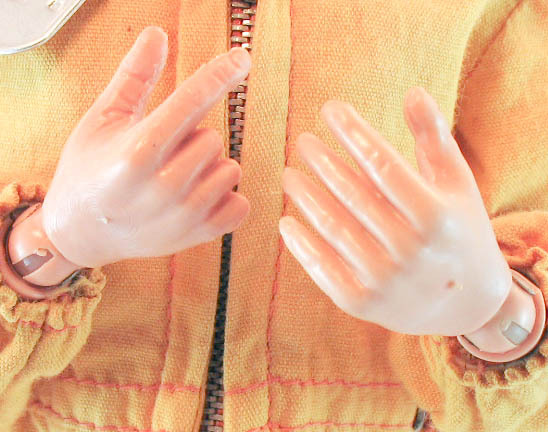 Also note slightly off register mold line on the 'beefy' hand. The standard forearm below it is rounded. 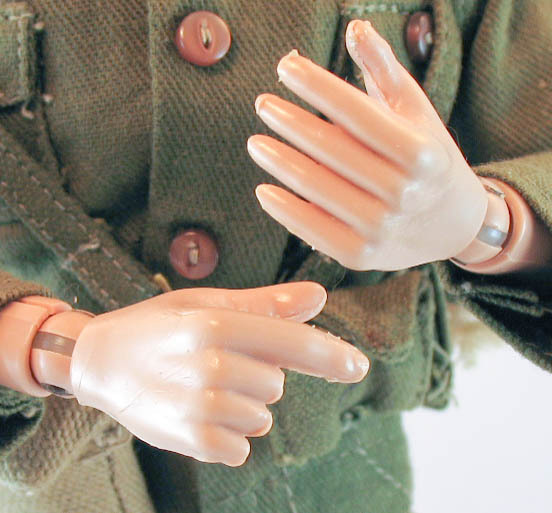 Below, note the single 'L' on the arm to the left, and the numbered parts on the arm to the right. Numbers were added to the cavities of later molds as a quality control measure to keep track of what pieces were coming to of what mold. Just an 'L' or 'R' on a part indicates an earlier mold. 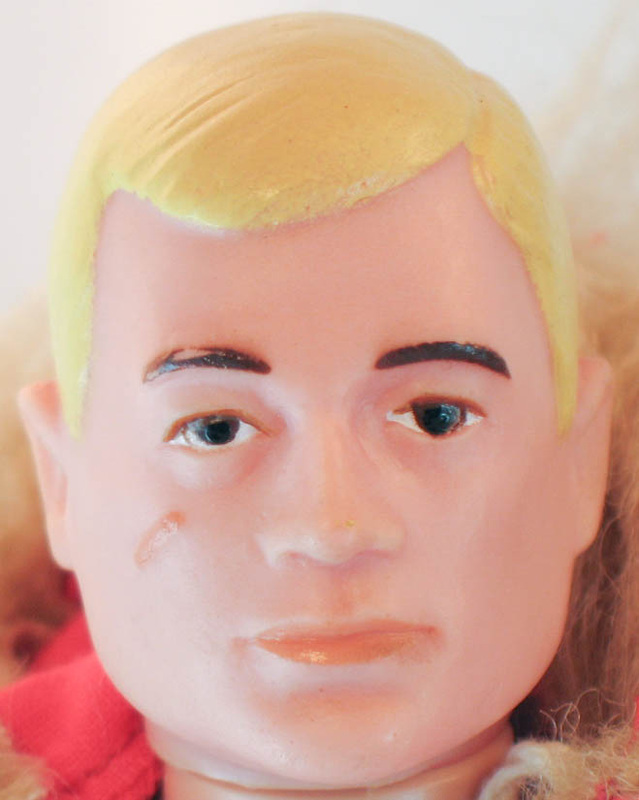 This figure is the original hand-made prototype of GI Joe from the collection of Don Levine, the Hasbro executive who led the team that created Joe. at the bottom, the remains of GI Joe's first helmet. This historic figure has been sold through Heritage Auctions, one of America's premier arts and collectible brokers. Be sure to visit their website! Image copyright and courtesy of Heritage Auctions.